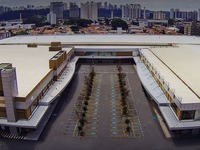 The 3rd edition of Tissue World São Paulo trade show and conference is set to take place from 22 - 24 October 2019. A key event for the regional tissue industry, over 90% of the attendees hailed from South American countries. Don’t miss the opportunity to showcase your solutions to senior decision makers consisting of jumbo roll producers, tissue converters, and finished product manufacturers. In 2019, Tissue World Sao Paulo will co-locate with the ABTCP Congress, which will provide an enhanced networking platform for all the local and regional tissue industry players.